Home / Blog / Smoothie Delivery Review: Is Craft Smoothie Right For You? Want to know whether a smoothie delivery from Craft Smoothie is a good fit for your lifestyle? Here's a review of the smoothie kit experience so you can decide if it’s right for you. As a Craft Smoothie subscriber, you get a smoothie box delivered to your door with all the ingredients to make five superfood smoothie recipes. The recipes change each week depending on what's in season and every recipe makes two servings, so you get 10 smoothies per box. The ingredients include unique combinations of fresh fruit and vegetables, and five bags of organic superfood blends. So you pick a recipe and combine the fresh ingredients with the matching superfood bag - all you need to do is rinse and chop the produce before adding to your blender, then add ice and your choice of liquid. All the healthy smoothie recipes have been developed to taste delicious with water, but you have the option to blend with milk, nut milk, coconut milk, coconut water, or whatever liquid you prefer. No two Craft Smoothie boxes are ever the same because the fresh fruit and vegetable-based smoothie recipes are based on what's in season. So during spring and summer, you can expect ingredients like berries, avocado and stone fruit in your smoothie box, whereas autumn and winter bring fruits like nashi pears, feijoas and more of New Zealand's finest. You can see some examples of recent Craft Smoothie recipes to get a better idea of the seasonal combinations. 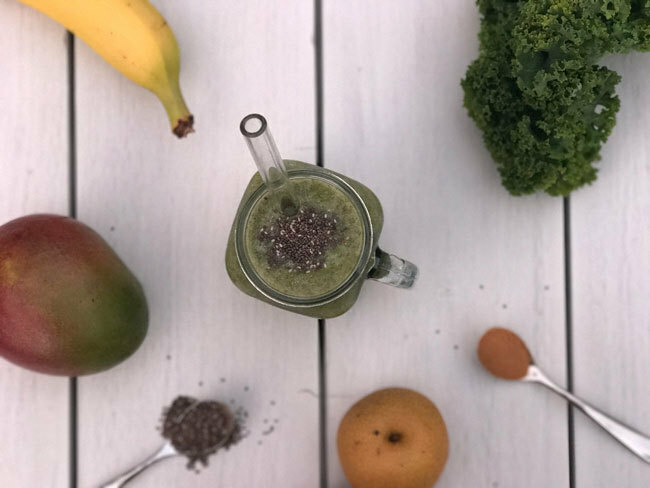 The organic superfood blends are combined to provide beneficial boosts of essential vitamins, minerals and other nutrients, while supporting the nutritional balance of the smoothie recipes. These include energising superfoods like maca and goji berries, antioxidant-boosters like acai and cacao, as well as plant-powered sources of protein like nuts and seeds. Check out these top superfoods for smoothies to learn more about the superfoods to expect in a smoothie box delivery from Craft Smoothie. All you need is a blender (a conventional or bullet-style blender will do the trick), a chopping board and a knife. Anyone who doesn’t have time to prepare a nutritious breakfast in the morning, or anyone lacking inspiration to kickstart a healthy eating plan. Singles, couples and families alike appreciate the convenience and element of surprise that Craft Smoothie brings to breakfast with new flavour combinations to look forward to each week. Some parents have been splitting the smoothies with their children, getting them involved in following the recipe cards and identifying the correct ingredients from the smoothie kit. We’ve also heard from happy customers who have converted their other halves to introducing fruit and vegetables to their morning routine. The diversity of recipe flavours in each box gives you something new to look forward to each morning. From berry smoothies to tropical smoothies, green smoothies to cacao smoothies, the unique recipes bring together well-balanced combinations of seasonal produce and organic superfood blends. For example, Nashi’ll Be Right is a cool combo of nashi, mango, banana, kale, chia seeds and cinnamon. And Goji For The Great blends together goji berries, orange, banana, carrot, coconut and almonds. Smoothie kits are delivered weekly on Tuesday and delivery is free New Zealand wide. If you have a rural address, you can email the team to discuss your delivery options. When a public holiday falls on Monday or Tuesday, your smoothie box will be delivered on Wednesday or Thursday to work around public holiday closures. You can check Craft Smoothie's FAQs for delivery updates around public holidays. You need to place your order before midnight on Wednesday in order to receive your smoothie kit on the following Tuesday. If you've missed the cut-off date and can't wait another week, email hello@craftsmoothie.co.nz to see if you can fast track your order. Your smoothie box will be delivered weekly and you can pause or cancel your subscription at any time by logging in to your Craft Smoothie account. Fortnightly deliveries are also available, just email hello@craftsmoothie.co.nz after ordering to request for your smoothie box to be delivered every two weeks. Craft Smoothie kits are available to send as gifts, you can email hello@craftsmoothie.co.nz to arrange for a gift delivery. Gifts can be purchased for one-off or weekly deliveries (for as long as you like). No shopping for smoothie ingredients, no waste, and no more than five minutes to make a nutritious breakfast. You get five different recipes each week so breakfast never gets boring and each recipe includes an overview of the associated health benefits, so you can better understand the ingredients and how they can impact your health. 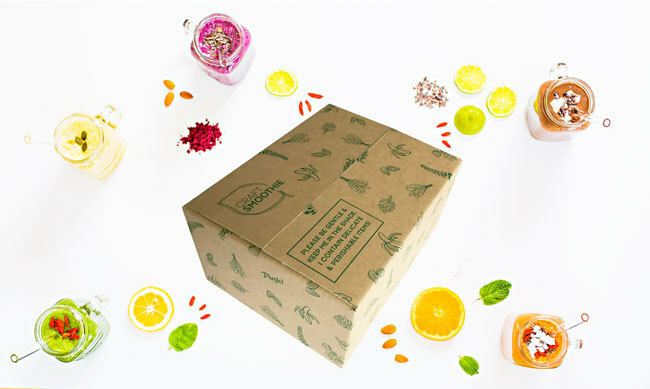 Craft Smoothie currently only delivers smoothie kits within New Zealand. Refer back to the website for expansion updates. $54 per smoothie box, including ingredients for five superfood smoothie recipes with two servings per recipe (10 smoothies in total, $5.40 per smoothie). If you want to make superfood smoothies at home without the hassle of shopping around for your own ingredients, try a smoothie kit delivery from Craft Smoothie for a hassle-free and nutritious start to your day.